April 14, 2017 November 17, 2017 / Jon E. Heywood, Esq. President Trump’s recent actions on immigration have occupied much of the news. But immigration issues have long occupied the thoughts of California’s family law attorneys. When clients are immigrants or have immigrant spouses who aren’t U.S. citizens, they may face some unexpected hurdles as they navigate the court system. 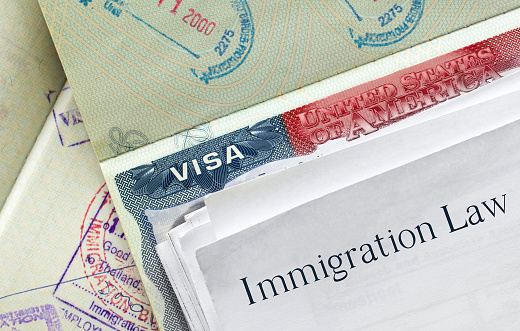 Immigration issues arise in family law cases in a variety of ways. For example, if there has been marriage fraud (i.e., marrying a U.S. citizen to obtain permanent residence (a green card), not only will the immigrant be removed from the U.S., but he or she will also be ineligible to receive any future immigration benefits. And the U.S. citizen or lawful permanent resident spouse may be subject to criminal prosecution and incarceration. Domestic violence situations may also pose issues for the family law practitioner, especially if an undocumented immigrant fears that reporting the violence to police (or bringing a Domestic Violence Protection Act (DVPA) action in family court) will result in deportation. An area that’s likely unfamiliar to many family law attorneys concerns guarantees of support for an immigrant spouse by a U.S. citizen spouse by means of a federal support affidavit (Affidavit of Support Under §213A of the INA (USCIS Form I-864)). Signing one of these may well trump an otherwise valid agreement between the parties or family court order. This recently played out in Erler v Erler (9th Cir 2016) 824 F3d 1173: A husband who executed a federal support affidavit by which he agreed to provide his Turkish immigrant wife with any financial support needed to maintain her at a federally-defined level was not necessarily relieved of his support obligation despite the couple’s divorce and the fact that their premarital agreement provided that neither would be entitled to alimony or support! It’s clear that the circumstances in which a sponsor’s obligations end under an I-864 support affidavit are very limited. Given that there are so many issues involving immigrant spouses, particularly with our high immigrant population, every California family law attorney should at least become familiar with immigration issues. And it’s critical that family law practitioners know enough to spot problem areas and refer (or associate in) competent immigration counsel. 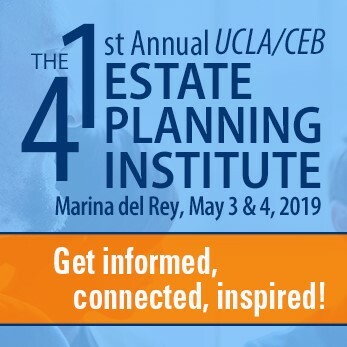 That’s why we’ve added new Chapter 26, Immigration Issues in Family Law Cases, to CEB’s Practice Under the California Family Code: Dissolution, Legal Separation, Nullity. Do you know of any table to cross-reference citations sections of Title 8 USC with Immigration & Nationality Act? Most judges I’ve run across expect citations to 8 USC Section something–when I cite INA Section something, then the citation is usually ignored. Thanks for the nice update. Unfortunately, I donât know of a cross-referencing table for INA to 8 USC sections. That would be so useful! If you locate one, please let us know. Here’s one on one of my websites: https://www.soundimmigration.com/ina-to-usc-conversion-table/. Jon – looks like the internal link isn’t working. Thank you for pointing that out — it’s now fixed.